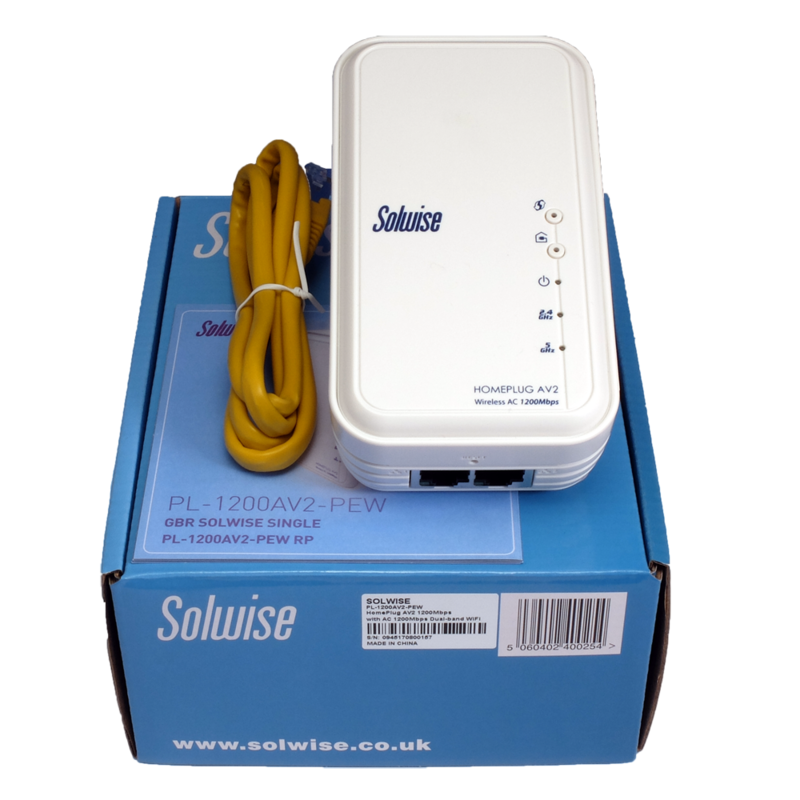 The SolwisePL-1200AV2-PEW is a 1200Mbps SmartLink HomePlugAV2 Dual Band Wireless-AC Extender which uniquely answers every home plug customers’ needs – may it be wired or for wireless connectivity. 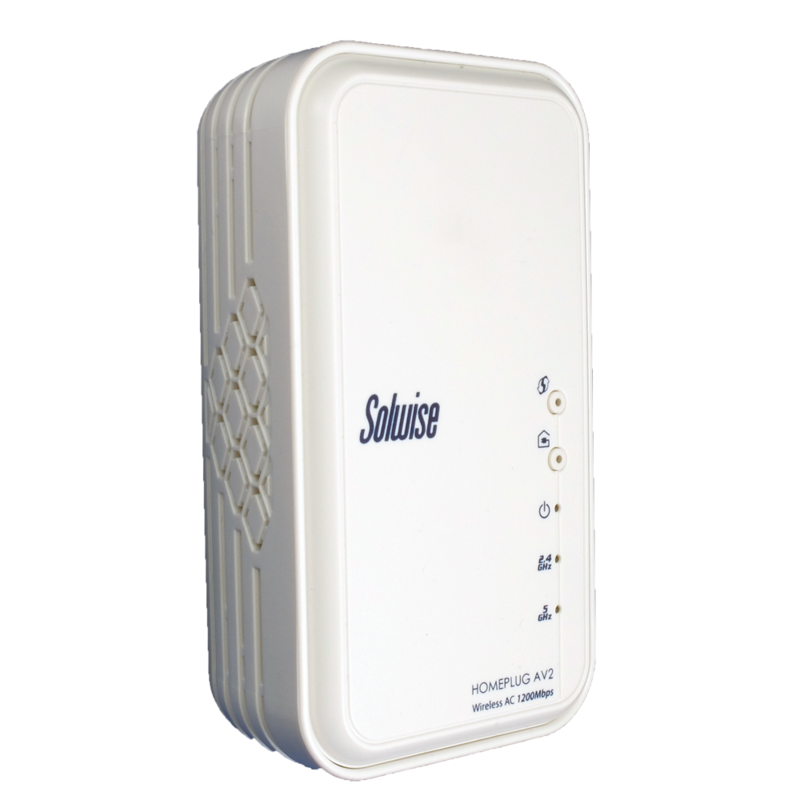 It provides not only an exceptional powerline networking functionality but is also a device which is capable of providing a wider extension of your wireless network. The PL-1200AV2-PEW is a HomePlug AV2 compliant device specifically made to meet bandwidth hungry multimedia devices within your home, allowing it to become a great partner when doing HD A/V streaming, online gaming, and other internet activities that are commonly known for high bandwidth consumption. HomePlug AV2 devices are all backward compatible to other HomePlug AV technologies allowing it to work with previous HomePlug AV innovations. 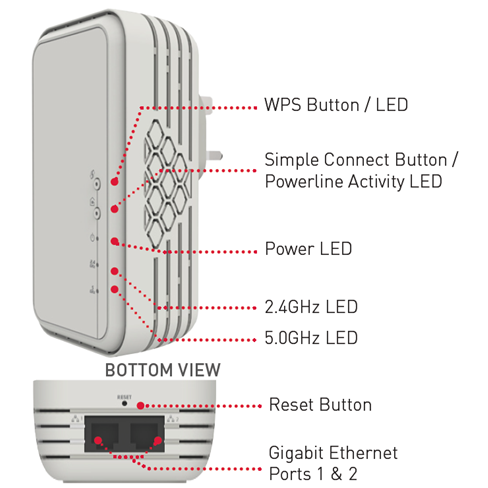 It also utilizes MIMO and Beamforming Technology, which unlike other HomePlug AV compliant devices, effectively uses the three wires (live, neutral, and ground) present in your home’s wall wiring, to transmit and receive data while constantly ensuring that it would always be at its peak performance even at poor channels. With a 1200Mbps data transfer over the powerline combined with the MIMO and Beamforming Technology, you will get to enjoy more of your powerline network. The PL-1200AV2-PEW provides two ways of having internet access : (1) Ethernet connectivity and (2) Wi-Fi. These two internet access options provided by the PL-1200AV2-PEW combined with the genuine portability of this device’s design, allows you to have internet access ANYWHERE in the house on all of your devices (may it be wired or wireless) as long as a power outlet is nearby. Two (2) Gigabit ports were made for your Ethernet devices such as computers, game consoles and other Ethernet cable reliant devices, reliably ensuring that no Ethernet device in your house would go without any high-speed internet connection. Wireless Dual Band connectivity, supported by the 802.11ac wireless standard, is then provided for your wireless devices with speeds of up to 300Mbps for the 2.4GHz and up to 867Mbps for the 5.0GHz frequency band to ensure that you have full options in maximizing your wireless connectivity. Remember, you will need at least two home plug devices to form a home plug connection. 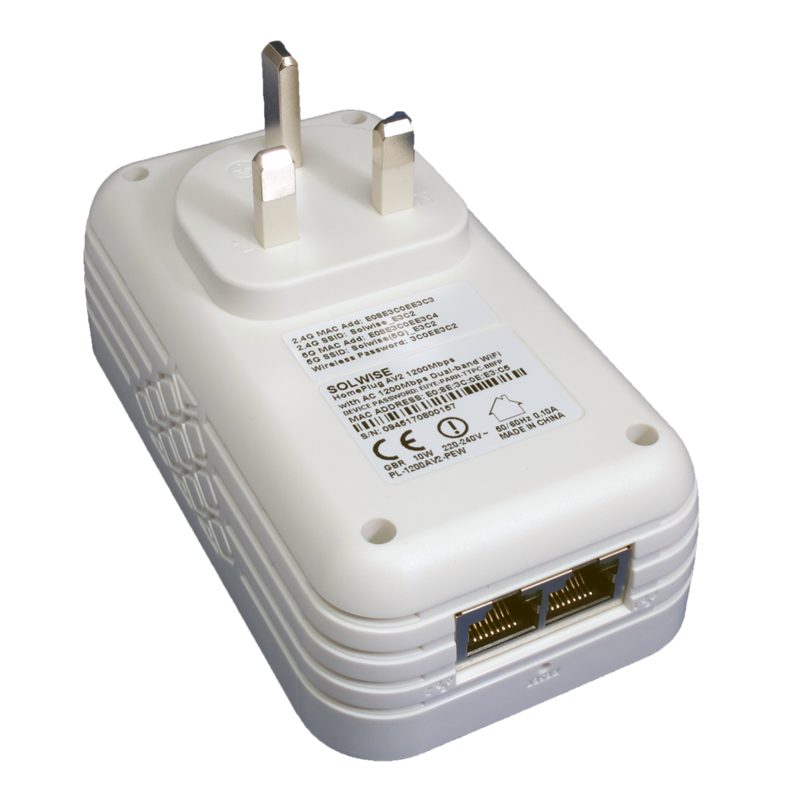 More home plug AV2 devices can be added to further share your network.